Phyrexian Ghoul ($0.13) Price History from major stores - Urzas Saga - MTGPrice.com Values for Ebay, Amazon and hobby stores! 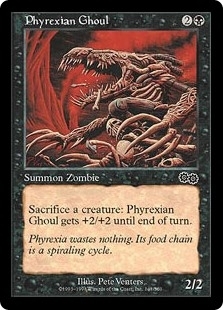 Card Text: Sacrifice a creature: Phyrexian Ghoul gets +2/+2 until end of turn. 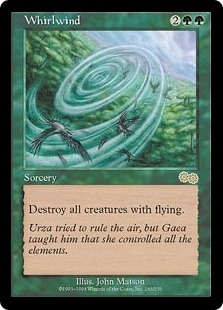 Flavor Text: Phyrexia wastes nothing. Its food chain is a spiraling cycle.